Comics Center (Sarjakuvakeskus) is an open and independent cultural centre for comics art. 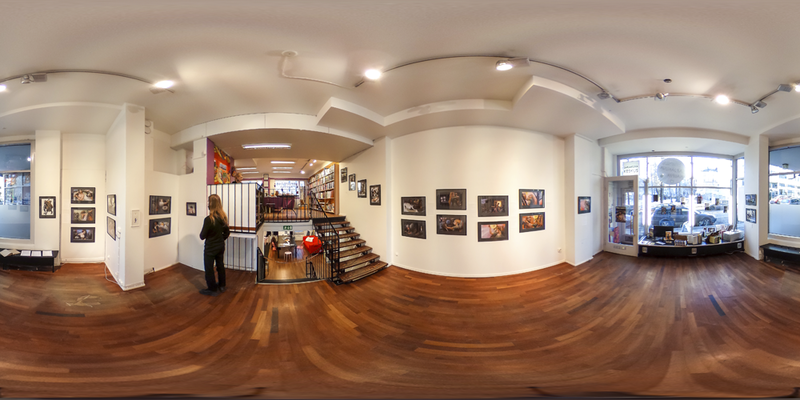 The office of Finnish Comics Society, Galleria Sarjakuvakeskus gallery of comics art and our workshop room are now located in Kallio, Helsinki. Check out our comics and illustration courses – we always offer some options in English. 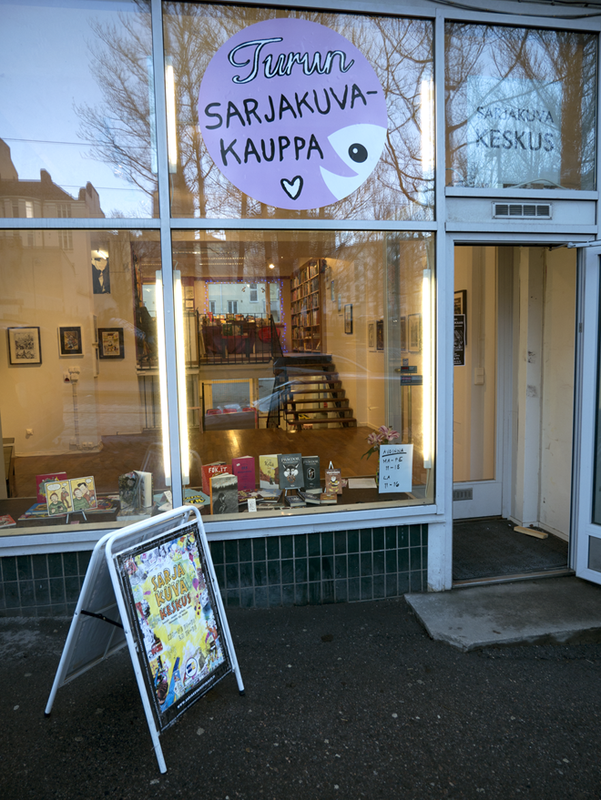 Our partner Turun Sarjakuvakauppa (Turku Comicbook Store) has a shop upstairs, with excellent stocks. Sarjakuvakeskus (for Comics Center in Finnish) was founded in 2008. The Finnish Comics Society is the organisation behind Comics Center. The Society was started in 1971 and it publishes the Sarjainfo magazine, organises events and the annual Helsinki Comics Festival, among other things. We’re open for public with a shop for comicbooks, T-shirts, posters and more. Art exhibitions are held at Galleria Sarjakuvakeskus. We organise various events and are always open for new ideas. Apart from adult art courses at Porthaninkatu Comics Center organises courses for kids, youth and senior citizens at different locations throughout Helsinki, Espoo and Vantaa. We also organise comics courses on demand. We teach making comics at courses and workshops, the students of which range from kids to professionals. The courses are longer, with fees, and workshops are generally free to enter. Finnish and international artists visit to hold exhibitions and workshops, also in English. We have a good network of Finnish comics teachers and we also organise courses and pop-up events elsewhere in Finland and abroad. We specialise in using comics and workshops for the benefit of the differing needs of various groups and organisations. We work with companies and organisations that want to use comics as a means for brainstorming and/or internal and external communication. We also help in getting in touch with suitable people for artists for clients' projects. The comics method and themed workshops can be used for working with special needs groups. Our teachers have worked with numerous groups ranging from persons with physical and mental dispabilities to prisoners to pensioners. Making comics is a low threshold art activity that can be used for empowerment through telling personal stories, group bonding, communication and small press and web publishing. We believe in comics! See also Helsinki Comics Festival – helsinkicomicsfestival.com. Next up: 31/8–1/9/2019. Free entry!